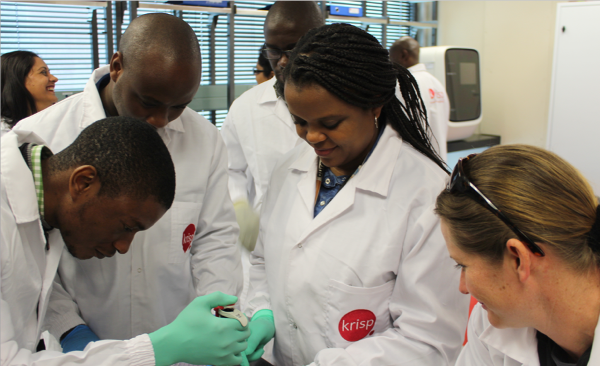 The training takes place in the state-of-the-art KRISP and Thermo Laboratory at the K-RITH Tower Building at the Nelson Mandela School of Medicine, UKZN. The training program started in July 2018. Training is schedule at the academic breaks so students easily attend. We normally take 20 participants per event as it includes hand-on laboratory experience. KRISP and Thermo Fisher Scientific formed a partnership, with a focus on building capacity in Science Technology, Engineering and Mathematics (STEM) to produce high quality research and cutting-edge science in Africa, please get a look on the short video on the first workshop! The first workshop was held on 6 July 2018, focusing on DNA extraction and amplification. The workshop received an overwhelming response and included both University students and learners from local high schools. Students gained exposure and hands-on experience working in the state-of-the-art scientific laboratory. .